Ena has been in Fort Worth her whole life. 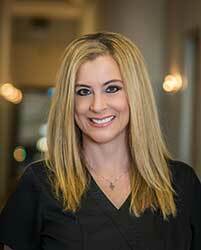 She has over 20 years in the eyecare industry and has been involved in every aspect of the Optometry practice. Ena has a son and step son as well as 3 dogs and 3 cats. She loves traveling and being outdoors (and sleeping:). At Texas State Optical, Ena will try her best to put a smile on everyone’s face and prides herself on making the patient’s experience at our practice a positive one.